It’s almost impossible to make it in this business without a strong online presence and modern website to beautifully showcase your previous work. Being a programmer you cannot go a mediocre design, and most of the time it’s difficult to find something stunning and eye-catching without exhausting one’s resources. The premium WordPress themes featured today are by no means free, but they will definitely not break your bank. Apart from being affordable, they also are reliable, versatile, stunning, modern, and overall a great investment for your professional or personal website. Scroll down to see the top 20+ competent and professional WordPress themes for programmers. Bridge is a highly customizable, innovative, intuitive, user friendly, sophisticated WordPress theme. Bridge will help developers create beautiful, engaging, and professional-looking portfolios with little effort and time. Bridge contains a powerful demo installer and it comes with over 200 pre-built demos. This theme has an impressive amount of customizable features and to ease things as much as possible it also offers full video support. Bridge is an up to date, dynamic, and flexible theme that will keep your visitors coming back. 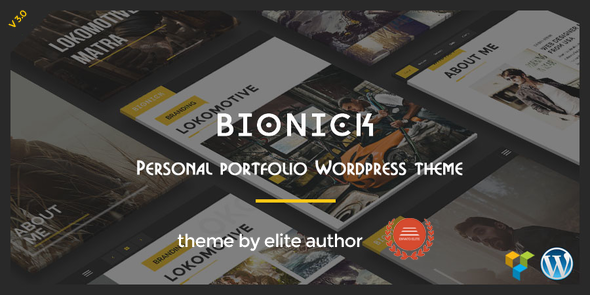 Bionick is a bold, excellent, professional, fresh, and modern WordPress theme. Bionick was carefully designed and developed by a professional team to serve as an ideal platform for personal and professional portfolio websites. Revolution slider and visual composer come included with this theme. Additionally, Bionick also features tools such as unlimited color panel, 4 homepage styles, 3 portfolio designs, unique scrolling page, 4 portfolio content types, 4 portfolio details page layouts, a powerful admin panel, and custom widgets. Give it a shot today! Empathy is sophisticated, modern, beautiful, and easy to use vcard WordPress template for programmers. With the one click demo importer you can have a beautiful and professional website is minutes. Moreover, you have more than 10 demos to choose from. This premium theme has everything covered from a responsive and retina ready design and optimized code for performance and SEO to custom widgets, advanced portfolio, and a custom settings panel. Except polished and gorgeous results with Empathy! Genesis is powerful, robust, premium WordPress theme. Anyone can master this theme’s functionality and create something unique and beautiful. Genesis has many advantages among which are the powerful theme admin panel, customizable header, custom page templates, content widgets, and mobile responsive design. Take a moment and check this theme out and see just how beautiful and feature rich it is. H-Code is a fully responsive, stylish, modern, simple, and complet WordPress theme. Whatever services you sell H-Code will make the star out of your portfolio. This theme is highly intuitive and easy to use. You do not need to know coding in order to use to its full extent. Choose one of the 50 multipage or one page demos to win your audience. Or you can let your creativity soar and use the integrated design elements and shortcodes to create something from scratch. After that you can use the admin panel to fiddle with them and personalize your website. If you are search for the perfect portfolio WordPress theme for developers or programmers, then look no further than Identity. This premium theme has a beautiful, modern, solid, and professional design that will give your visitors a sense of trust and protection. Identity offers a variety of features such as integrated premium plugins, video tutorials, easy to use admin panel, weekly updates, multiple blog styles, portfolio page, shortcodes, widgetized sidebars, and a clean and optimized code. Show off your skills and previous work with Mikos. This theme is impeccable, clean, modern, award winning, and overall impressive premium WordPress theme. Mikos has awesome features ranging from dozens of Google fonts options, mansory grid, pixel perfect layout, beautiful slider, uniquely designed demos, and a 5 stars support team. No matter your style, this theme will increase your portfolio look and attract more clients. Give it a shot today! 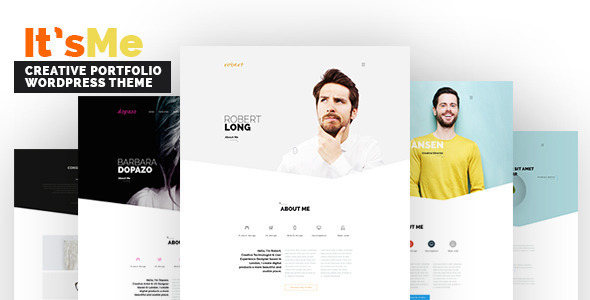 MD is a modern, clean, visually pleasing, creative, and elegant WordPress theme. It is capable of creating websites for a wide range of fields, but mostly for personal portfolios. 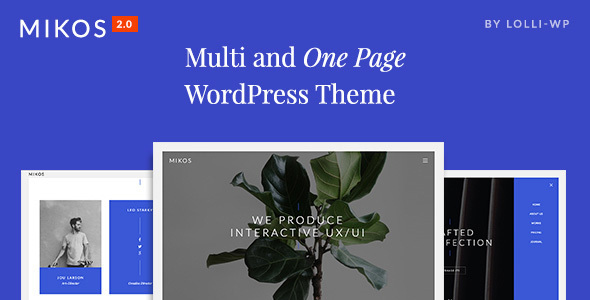 Some of this theme’s features are parallax sections, custom backgrounds, 8 color skins, 2 navigation options, isotope portfolio, beautiful contact form, Google fonts, 800+ icons, Google map, shortcodes, and many more features. Using all these theme features as well as the admin panel you will certainly craft a unique and professional website. Jevelin is an elegant, user-friendly, stunning, and outstanding multipurpose WordPress theme for developers. Jevelin is one of the best solutions for programmers that are looking to showcase their works in a sophisticated and unique way. Jevelin has several unique and attractive demos ideal for those looking for a quick installation. Jevelin is also equipped with a fully responsive layout, Slider Revolution, Contact Form 7, WooCommerce, dozens of shortcodes, RTL support, and a drag and drop page builder. This is a truly reliable platform for your personal or professional website. Try it today! Stash is a top-notch, amazing, beautiful, reliable, and flexible WordPress theme. It is created to aid in the development of unique and professional websites and ease your work. It is fully equipped to serve multiple purposes with more than 45 fully built demos, 80+ page elements, and 260+ builder blocks. In addition it has several pre-made inner page layouts, 7 portfolio layouts, WooCommerce integration, rich typography, parallax effect, unlimited colors, and video backgrounds. You cannot go wrong with Stash! This premium WordPress theme has a modern, appealing, and clean design. It was crafted to be flexible and professional which makes it perfect for all kind of websites. 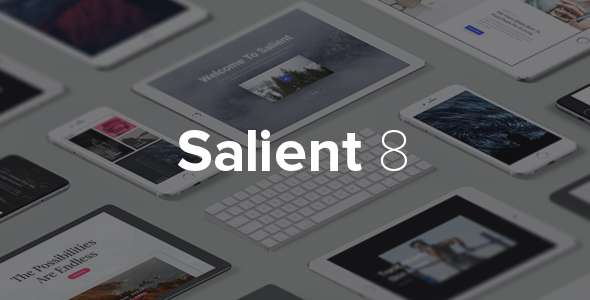 Intuitive and ambitious, Salient comes with a bunch of useful features including multiple complete demos, exclusive sliders, page transitions, icon packs, parallex effect, mega menu, and so much more. Salient is also responsive across all devices, screen resolutions, and browsers. 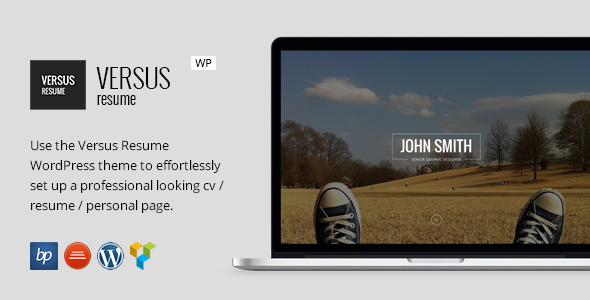 Meet the beautiful Versus resume WordPress theme designed for professional and personal webistes. This theme is fully responsive and displays just as beautiful on any screen resolution and device. Versus lets you work with Visual Composer to create unique and creative page templates. Some other theme features are the intuitive admin panel, sidebar manager, strong branding options, Revolution slider, translation ready, retina ready, SEO optimization, and free updates. Versus turns web development into child’s play! Unicon is yet another powerful, stunning, and intuitive WordPress template for developers. It has an engaging design that will keep your visitors entertained and turn them into regulars. Unicon is packed with useful and convenient tools. 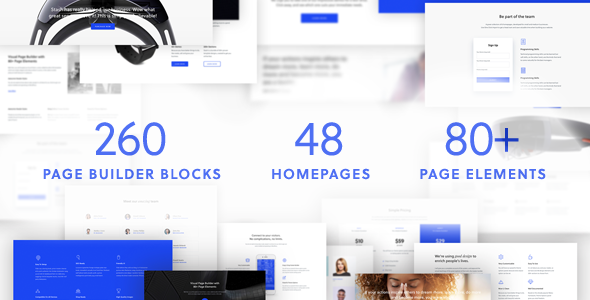 It includes a drag and drop builder, 50 custom page builders, free updates, over 600 Google fonts, a child theme, and more than 40 pre-built demo homepages. It is a great solution for developers that are looking to showcase their portfolio, services, and work. 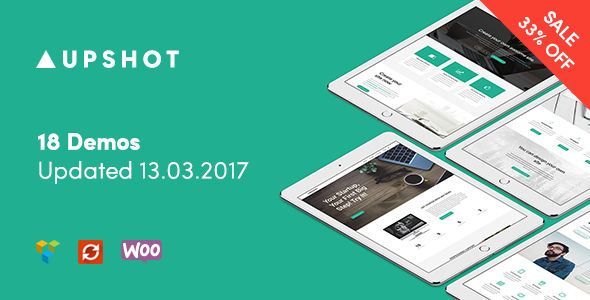 Upshot is a clean, modern, stunning, eye-catching, fully responsive WordPress theme. It can be used for small businesses or personal websites. Upshot you get the best shot to create a diverse and unique website. It comes with various useful features including 18 unique homepage demos, various inner pages, customizable header, 80+ design elements, revolution slider, parallax brackground, and more. Check out its live demo below! Themo is a simple, beautiful, clean, attractive, robust, and fully responsive WordPress theme for programmers. Themo looks just as beautiful on all mobile devices and popular browsers. This is an adaptable theme that can be fitted for any type of website, no matter its niche. It comes with 5 premium plugins, parallax composer, an interactive interface, animations, a powerful customizer, advanced color options, and several demos. 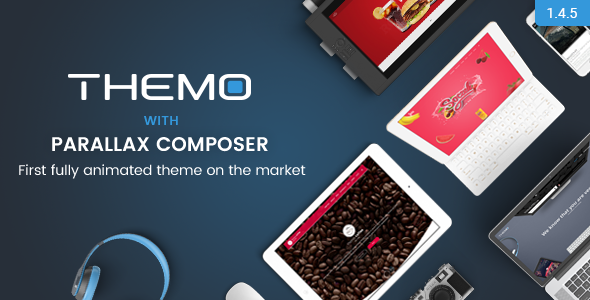 Themo is the queen of pliable themes and is perfect to showcase your portfolio. Ronneby is an amazing, creative, aesthetically pleasing, versatile, unique, highly customizable WordPress theme. This is an ambitious and competent theme that will highlight any type of content, services, and portfolio. 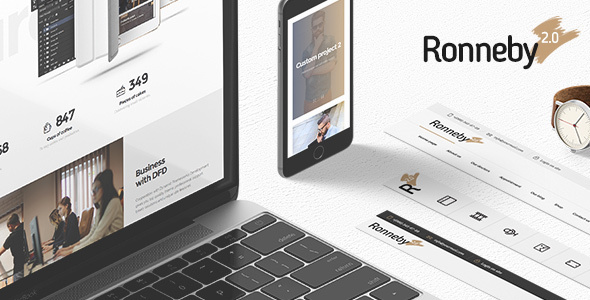 Ronneby provides a wide range of theme features and tools including 40 pre-designed demos, WooCommerce integration, various blog styles, powerful portfolio options, custom shortcodes, coding free interface, and other. You can let your creativity run wild as this theme has the necessary tools to implement it. 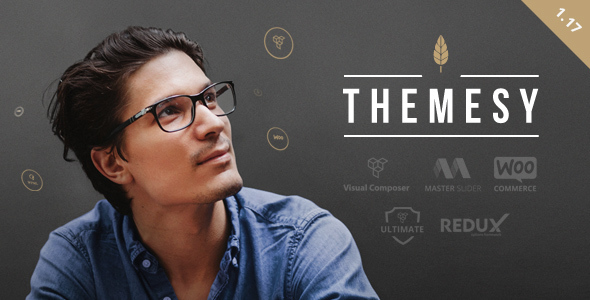 Themesy is gorgeous, professional, polished, and clean WordPress theme. Any type of website can benefit from using Themesy, especially portfolio websites. Themesy is feature rich with a responsive layout, master slider, visual composer, ultimate addons, optimized code, unlimited layouts options, Google fonts, various demos, lightbox galleries, and more. You can use the animated portfolio feature to create a stunning and unique way of presenting your achievements and capabilities. 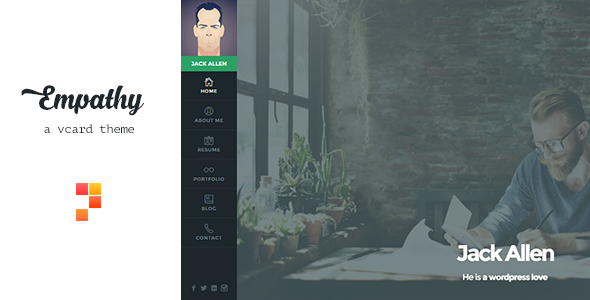 Themesy is the perfect theme for serious portfolio websites. 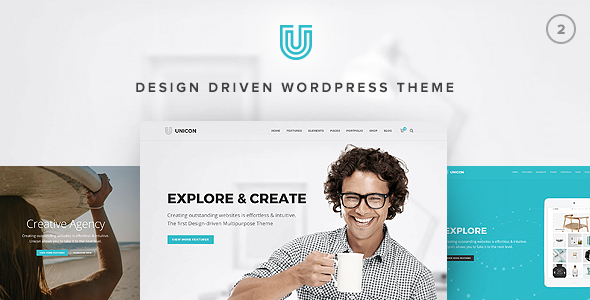 Uncode is a classy, creative, visually stunning, impressive, easy to use, and professional WordPress theme for programmers. Uncode is equally gorgeous as well as polished and will be able to highlight your portfolio perfectly. Uncode pushes the limits with its impressive features such as incredible page loading speed, attractive conceptual demos, various premium plugins, module variations, beautiful tabs and accordions, built-in content block, and much more. Every visitor on your website will have a memorable experience. 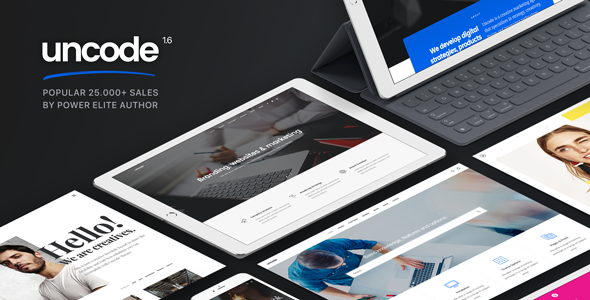 It’s Me is a versatile, fast, visually stunning, creative, and professional WordPress theme for developers. It is a highly customizable and extremely easy to use theme that will help you create a professional portfolio website in minutes. It’s Me has various design options you can choose from to get you started. The unique portfolio styles are crafted for designers, developers, freelancers, and others. Visual Composer and Revolution Slider come bundled with this premium theme. Showcase your creativity and work ethic with It’s Me! Sturlly is a fresh, appealing, powerful, and flexible premium WordPress theme for developers. This is a theme that speaks loudly and will make sure to get the point across. Sometimes, elegance and style are keys and Sturlly understands and delivers through design and functionality. This theme includes 8 pre-designed demos, 8 color schemes, 3 design styles, animated pie charts, progress bars, Ajax contact us form, portfolio and lightbox galleries, countdown times, and several more options. Sturlly packs a punch. 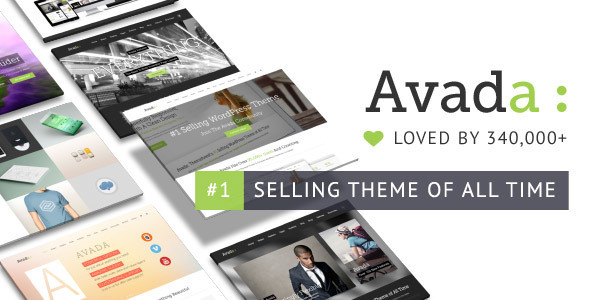 Avada is the most popular theme on ThemeForest and the best-selling one. It can adapt to literally any type of website, and it is beyond full of features. The team behind it did a great job developing a resourceful, elegant, and versatile theme. Avada is very easy to use and contains dozens of demos, an intuitive and complete option panel, awesome theme options, page options, an integrated builder, gallery elements, and several other options. Avada acts like a limitless toolkit and can be easily used by novice and advanced developers. Choose Avada! I hope you found out what makes these themes be the top notch choices in this niche, and that, of course, you found a good one for you. They are all flexible, intuitive, and up to date, so regardless of your choice you are in good hands!